The intersection of VFW Highway with Bridge Street and Lakeview Avenue in Lowell was one of the highest crash intersections in Massachusetts according to MassDOT crash data. 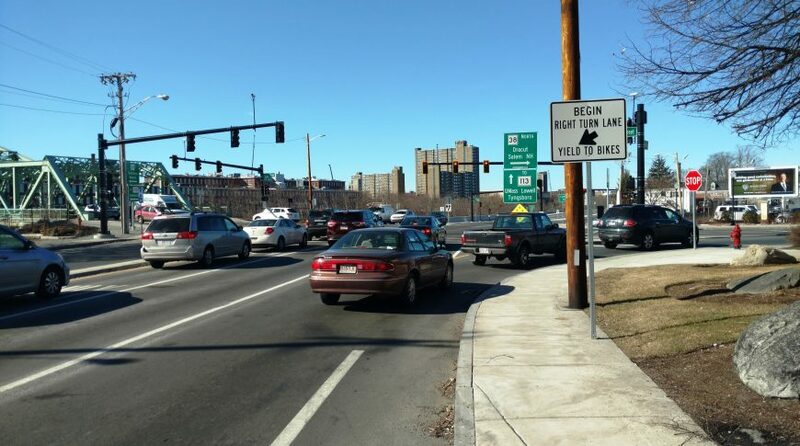 Bayside Engineering was selected by MassDOT to design safety improvements and enhance efficiency for both pedestrians and the motoring public. 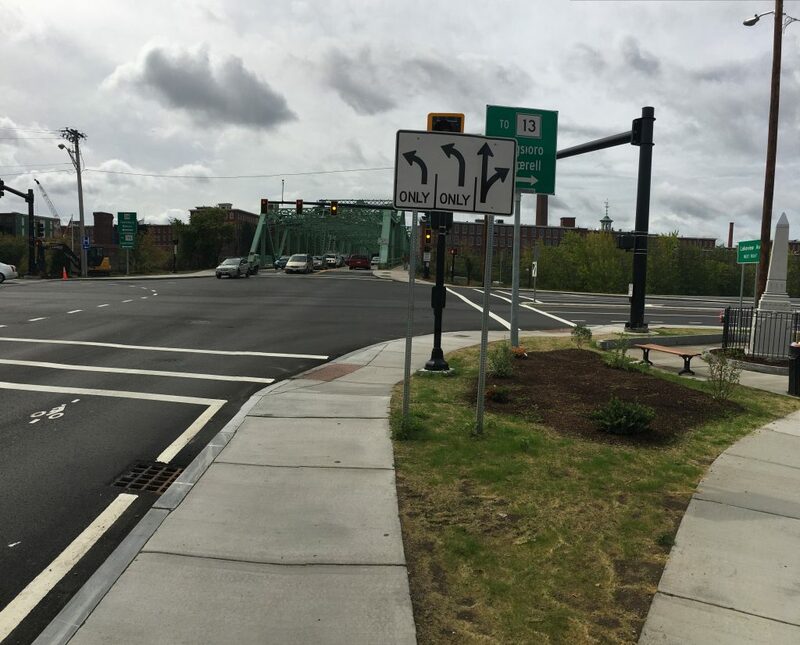 The $2.8 million project realigned the intersection to add exclusive turn lanes and bicycle accommodations while reducing pedestrian crossing widths. Bayside’s responsibilities started with performing an instrument survey to assemble base plans that were used as design plans. Following MassDOT’s standard procedure, a Design Public Hearing presentation was made to local residents and the general public following MassDOT’s approval of the preliminary design. 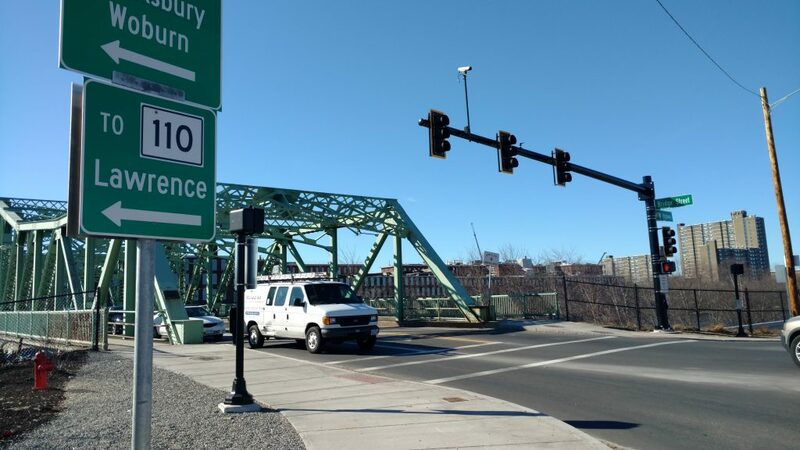 Bayside’s responsibilities continued through MassDOT’s acceptance of the Final PS&E documents, and included construction administration services as well as final inspection services for project acceptance. 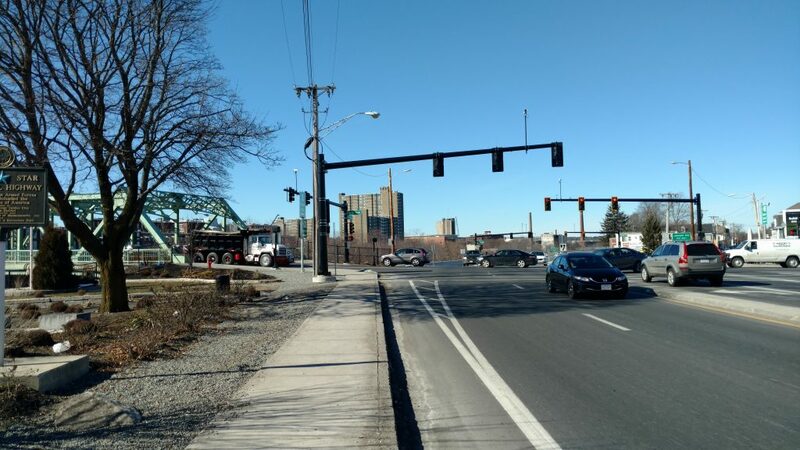 Construction administration services included review, approval and distribution of all materials and shop drawings; provide advice during construction and evaluate subsurface conditions for appropriate foundation design of traffic signal structure. 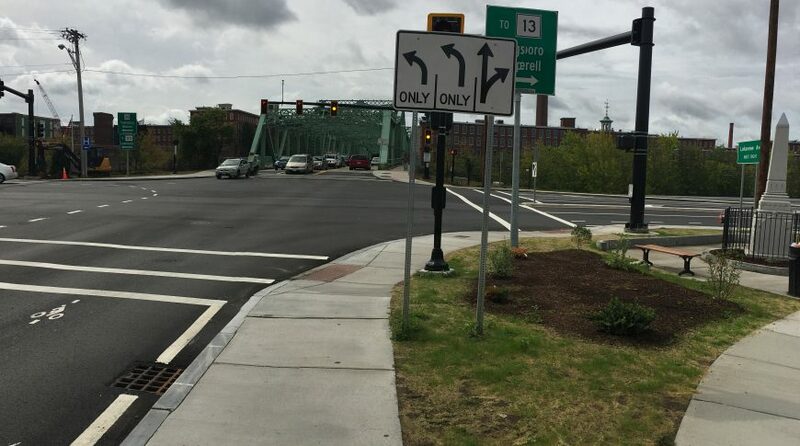 Installing new signs and pavement markings.